Start the procession off on the right foot, with the right pre-event publicity. 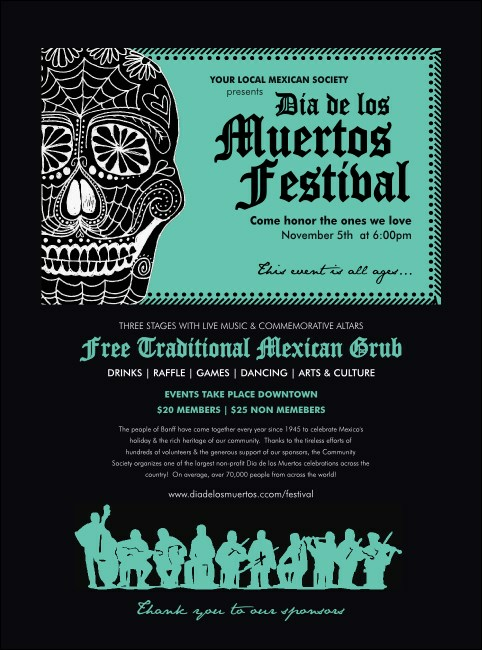 This calavera-themed green and black Day of the Dead Flyer also features the silhouettes of a lines of musicians to create the proper atmosphere for your celebration. Customize this Flyer with 20 lines of your own text and share all the details. March to the beat of your own drummer with TicketRiver.com.au!